Soi Park taught Digital Imaging and Digital Color Management in 2014 at PCA&D. A native of Korea, she received a BA in Visual Information Design at Ewha Women's College in Seoul before earning her BFA at SUNY / Purchase in New York and her MFA at Yale University School of Art in New Haven, Connecticut. Park has also exhibited widely, and was awarded the prestigious Alice Kimball English Traveling Fellowship from Yale University School of Art in 2011. Her ability to share her unique experiences with PCA&D students has helped bridge the gap between two cultures, adding to the global perspective for which PCA&D strives. 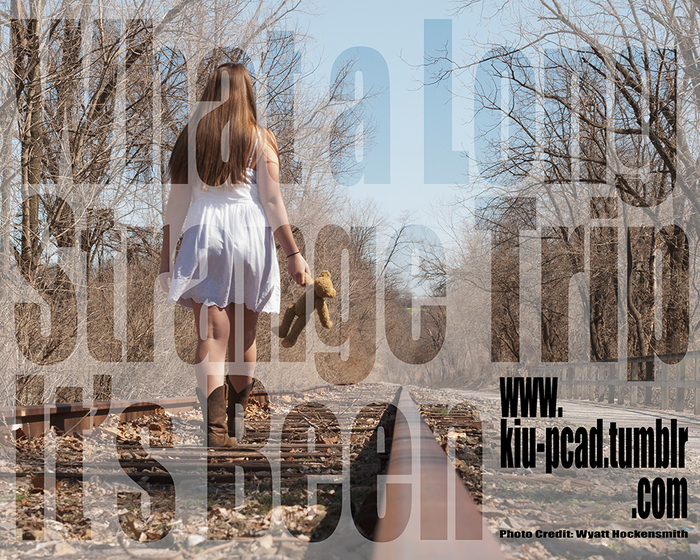 For a closer look at PCA&D’s cultural exchange program with digital imaging students in South Korea’s Kyungil University, head over to kiu-pcad.tumblr.com. EW: You studied art in both Korea and the United States. Can you describe the differences and similarities in your experiences of art education in the two countries? Can you also comment on your teaching experiences in the two countries? SP: In South Korea, I learned art in an intensive apprenticeship. To me, it was very much like the training that aims for perfect craftsmanship. Without a high level of technical proficiency, no work could be considered seriously. In the United States, I learned about art as a process. Technique and craftsmanship was only a part of it. It seemed to me it never really had to be “perfect.” Capturing a moment by making many mistakes was valid. Realizing the possibility that a “mistake” could be amazing was the purpose of learning art. In short, my perception of Korean and United States perspectives could be summed up as Practice and Perfectionism VS Potential and Possibility. When I teach in South Korea, students request many demonstrations so that they can practice what they see. Also, when I am advising students, they will largely adopt what I say. In the U.S., students may reflect only a part of my advice, however. Students always bring their own ideas to their projects. SP: American photography developed from diversity through documentation. First, it was a tool for archiving, and then more genres emerged, such as those for artistic expression. Korean photography started as a historical archive that involves straight documentation. The photographer was not encouraged to be free to experiment in Korea. Koreans accepted photography as an artistic tool much later in history. For that matter, Documentary styles are still very centered in practicing photography. Truth itself can be a work of art, not just journalism. EW: Please describe your current photography project. SP: Currently, I’m dividing my time between New York and Los Angeles, photographing Korean communities in these regions. I am the kind of photographer who is drawn to the unfamiliar aspect of a place. It’s been the most challenging approach for me since all of the communities are very familiar to me as a Korean. EW: What would be your most important advice to someone thinking about studying photography? SP: Go out more, see more, take more photos. I heard this many times when I started practicing photography. It seemed like advice that was too vague, however the more I practice photography the more I realize how important this advice is.